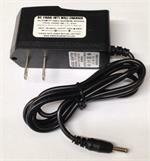 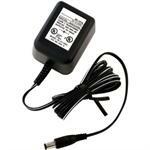 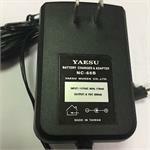 NC-55B: Yaesu brand battery charger. 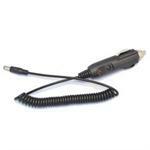 Output is 5.8VDC @ 60mA. 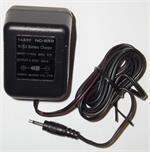 Plugs into Yaesu cradle for charging 4.8v battery packs such FNB-31. 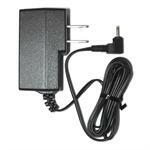 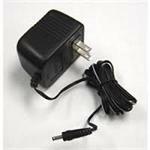 NC-66B: Yaesu Wall Charger - plugs into Yaesu VX-1, VX-1R. 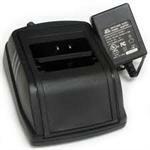 Charges FNB-52Li. 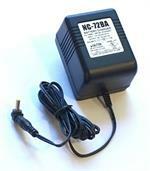 EMS-265: Desktop drop-in Rapid Charger for 7.4v Li-ION BP-265 battery (to fit ICOM radios). 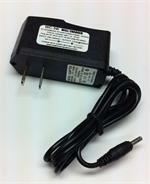 Includes wall power supply. 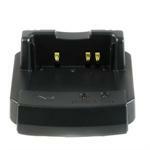 Charges battery alone, or you can insert the entire handheld. 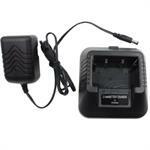 EMS-209-210: Desktop Rapid Charger for Icom-style NiCd and NiMH batteries such as BP-222, BP-222N, BP-209, BP-209N, BP-210, BP-210N.